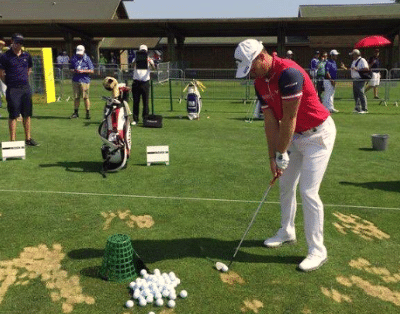 Congratulations to FlightScope user Danny Willett on becoming the 2016 Masters Champion! Danny shot 67 on championship Sunday, winning by three strokes over Lee Westwood and Jordan Spieth for his first Major Championship victory. In only his second Masters appearance, he became the first Englishman to win the Masters since Nick Faldo in 1995. Danny, who won the Dubai Desert Classic earlier this year, is now in the position for a spot in representing Great Britain at the Olympic Games in Brazil this August. Danny has been a FlightScope user since 2014 and his unit of choice is the FlightScope Xi Tour. Formerly number 12, he's now ranked number 9 in the world and will make it the first time in his career that he's a top 10 golfer. Danny was ranked 51st when he first entered the Masters in 2015, demonstrating how dedication combined with the right practice tools can go a long way. We must say his newly-acquired green jacket is very well deserved. Well done, Danny!